Are you ready to make some serious money? If so, real estate might be your golden ticket. Not everyone has what it takes to get rich buying and selling real estate, but for those with the right skills, the sky is the limit. Obviously, there’s no shortcut to success, but it’s still possible to make a ton of money if you have the knowledge and talent for turning investment properties into tremendous wealth. Even if your goal isn’t to get rich, you’d still be doing yourself a huge favor learning how to make it in real estate. This article takes a look at the tips you need to know to make this a career you can be proud of. First on our list of ways to become successful in real estate is through real estate investment trusts. REITs provide a way for you to invest in properties without having to actually purchase or even manage a piece of real estate. An REIT is made up of a group of investors. These investors typically buy a variety of holdings, including both properties and mortgages, or a mix of both. The great thing about this concept is that you are simply investing as a piece of the pie rather than buying the entire pie yourself. REITs often invest in particular market niches, allowing you to put smaller amounts of money into certain niches that most interest you. One of the great benefits of this type of investment opportunity is that you don’t need to be an expert in real estate. The key is the fact that your risk is fairly low because you are one of many. Some REITs are publicly traded. Just keep in mind that the value of an REIT is dependent on the real estate market, not the stock market. So, if you’re looking for a way to invest in real estate with minimum cash, this might be the right move for you. This has become an increasingly popular way to make money in real estate in recent years. There’s just something innately exciting about finding a property that holds potential, giving it some good old fashion TLC, then selling it for a sweet profit. This is especially true for those with construction and design skills. The key to this niche is to possess an understanding of property values and homeowner buying trends. The goal, of course, is to buy low and sell high. Keep in mind that you will not only have to purchase the property, you’ll also have to factor in renovation costs, as well as the potential resale value when the time comes to put it back on the market. Flipping can be risky, yet it can also be a highly profitable and exciting way to make a ton of money. If you’re interested in buying a turnkey property, you should definitely check out this interesting article. This type of home loan is often a very attractive type of investment opportunity for someone lacking capital for a down payment. With a loan pay down, the buyer is able to purchase a rental property with a monthly mortgage payment. The key here is that the payment includes both the payment and interest. The interest, of course, is the profit to the lender, and the principle is applied to paying down the balance on the loan. This allows the lender to be making money while the tenant is paying off the property. This is an extremely smart strategy for making big bucks in real estate. When it comes to being successful in real estate, taxes are a huge consideration. After all, every time you sell a property for a profit, you are required to pay taxes on your capital gains. Fortunately, real estate investors are able to use a tax code called 1031 Exchange. This interesting little wrinkle in the tax code allows you to take the profit you make from the sale of a property and invest it into another property of equal or greater value. Thus the taxes on the sale of the first property are deferred until the sale of the second property. Smart investors can leverage this section of the Internal Revenue Code into postponing taxes while at the same time being able to invest in a property of greater value. There is probably no better way to get rich in real estate than rental properties. After all, with this business model tenants pay to live on your property and you maintain ownership. Many people live in rental properties their entire lives, thus paying a lifetime of rent to their landlords. The beauty of investing in rental properties is that once the properties is paid off, every dollar made in rent becomes pure profit. This form of real estate investment has been around for centuries. And for good reason. Just consider the fact that everyone needs a place to live, and yet not everyone can afford to purchase a home of their own. The concept works for both residential and commercial purposes. With residential units, you are renting to tenants who will live in the property for the length of their lease. And for commercial properties, you lease to an occupant for use as a business space. Another form of a rental property ownership is to own a piece of land that a business will lease from you to build their own structure on. In this particular situation, the tenant will own the building but will pay the landowner for use of the land for the duration of the lease. Great fortunes have been generated with rental properties, and this remains a business model with tremendous growth potential. The concept of property appreciation is relatively simple. Historically, real estate values have increased over the long term, and we call this “appreciation”. Appreciation of a single property alone won’t make you rich, but with enough properties held for years, the appreciation value can certainly add up to a nice profit when you decide to sell. “Forced appreciation”, on the other hand, is where the value of a property is increased through upgrades and renovation. This obviously is typical when you flip a house, buying it at a lower value, then making upgrades, thus “forcing” the value up. Here is another way of making money on properties that you already own. By opting to refinance your mortgage, you can obtain a loan at a lower rate and decrease your monthly payment. One of the key benefits of this strategy is that it provides you with fresh cash at a lower rate. This is a surprisingly effective method of making money in real estate. It requires patience and the willingness to move on a regular basis. With a live and flip property, the investor either builds or buys a home and moves in. If this is a new home build, the owner will immediately put it up for sale after completion and live in the home until they find a buyer. And for an existing structure, the owner will live in the home until renovations are complete, then list for sale and continue to occupy until it sells. The beauty of the live and flip method is that you don’t have two separate expenses for the investment property and a place to live. And when the property sells, you can invest the profit into another property and repeat the process, the goal being to eventually pay cash for a property without needing a mortgage. The key is to start small. Invest in a small house requiring limited capital, and work your way up as your profit margin grows. Let’s not forget about Airbnb. It probably won’t make you rich, but it’s definitely a way to make easy money from properties you already own. Many people have begun to understand the benefits of renting their spare bedrooms out to travelers by utilized the Airbnb app. It’s a simple matter of posting the space for rent online at a nightly rate, and then welcoming guests into your home in exchange for upfront payment. What’s not to like? After all, this is space in your home that’s not being used anyway. This option gives you the chance to make some extra cash, while also providing travelers a nice clean room at a far more reasonable price than they’d pay for a comparable room at a hotel or resort. No matter if you’re looking for a career or just on the lookout for a new side-hustle, learning how to make it in real estate is a smart move. There’s tons of money to be made for anyone with the ambition and brains to make things happen, and there’s never been a better time to jump into the industry than right now. So get busy and start making those Benjamins! 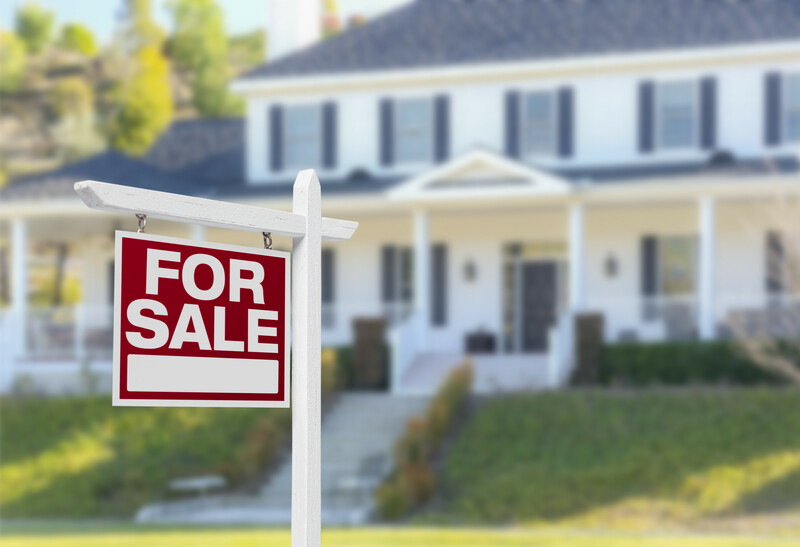 Click here to learn how to prepare your home for sale.